Personalize your AR-15 with our new self adhesive laser engraved lower receiver magwel sticker. 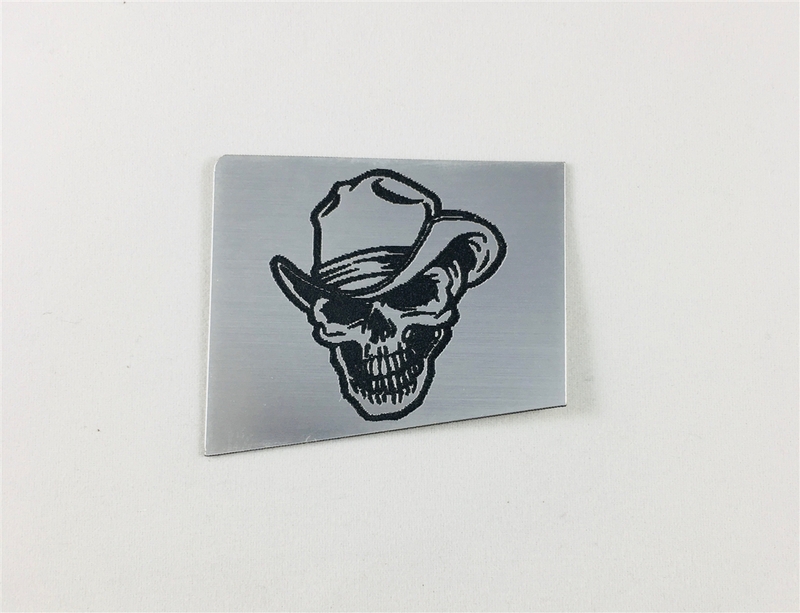 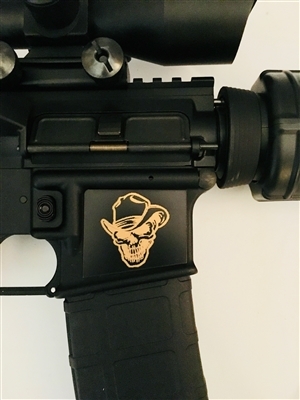 This self adhering plate with Engraved Cowboy Skull will really add to your AR. 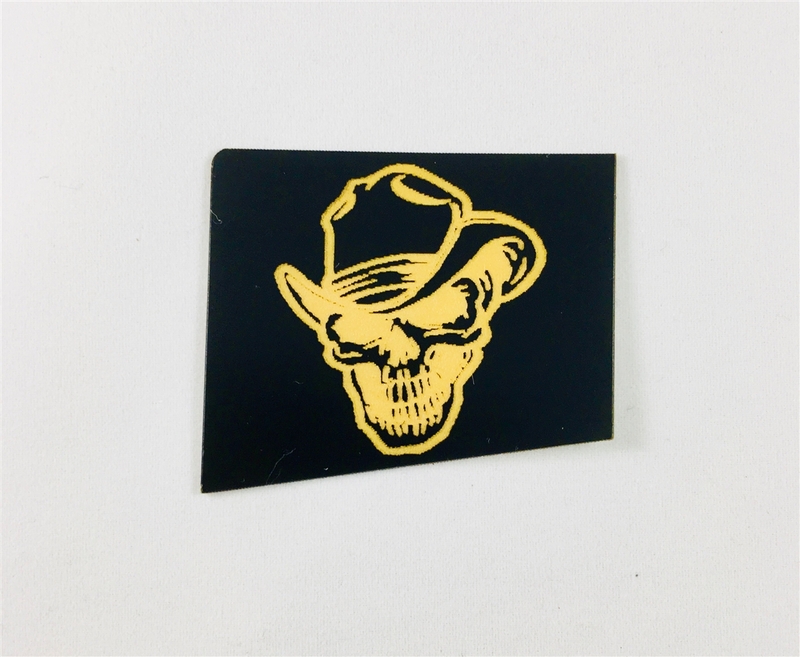 Laser engraved 2 layer plastic, not printed on vinyl stickers.